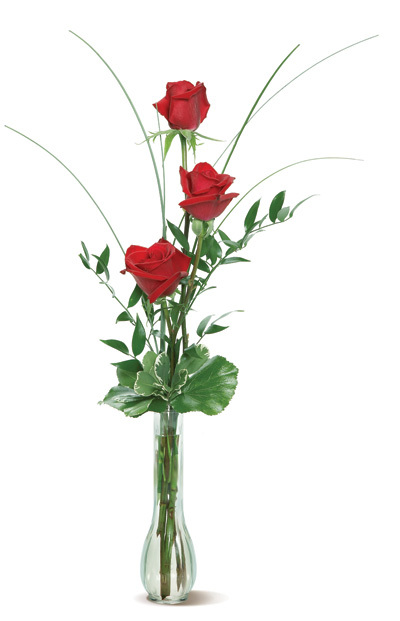 Three lovely roses attractively designed in a bud vase, accented with a touch of greenery. This simple rose arrangement featuring an expressive design is the perfect way to show your appreciation and love for someone special. Order fresh flowers in San Diego with Four Seasons Flowers!